I had to google her, had no idea who she was. Its the name of the city, it wasn't intended to be related to anything. Location:Oh Yeah Yeah army base. Sorry everyone (or at least whoever pays attention to this thread) for the huge delay. Haven't had internet for the last couple weeks, but know I've been plenty busy, designing the rest of the National Teams' uniforms, along with simming through the 2011 Season & Finals. I've also made a start on new uniforms for the 2012 season. Also, mods, this thread probably belongs better in the sports fanfiction section, move it as you see fit. Sometime next week, I should have the rest of the 2011 season up. I might possibly chuck in the 2012 World Championship results and such too. It's back! As I had said I had simulated through the whole 2011 season, but right now I don't have the time or effort to write up the rest of the season, so weeks 11-20 will have to do. Tomorrow I may show off two more national team's uniforms in preparation for 2012's IHBF World Championship. Without further ado, here is weeks 11-20 of the 2011 season. The Raiders have continued to slide downhill, with only 1 win in the last 5 games, they are showing no signs of improvement. The constant road-home-road schedule has really gotten to the defending champs, and despite the lone win, the mood around the locker room is rumoured to be terrible. Hikaru have continued their strong season, with 2 more wins to add to their total from their last 5 games. While not being exactly what the Heat wanted in terms of wins, the locker room seems to still be spurred on by the thought of this year being their year. The Lions have found themselves with 5 wins from the last 5 games. There is buzz around the players and particularly the fanbase that the Lions could find themselves with a finals berth. There are mumblings of comparisons to last year's Raiders about this year's Lions squad, which the stars of the team are quick to dismiss and rightly so, being clearly focused on just winning games. The Magic also find themselves with 2 wins from their last 5. The mood around the organisation seems to be a frustrated one, with something niggling at the team that none of the coaching staff can seem to figure out. Compared however to the Raiders, the Magic locker room seems to still be quite positive. The Queens took 3 wins from the last 5 games. It seems that Rondelle is a good place to be if you are a Hoopball fan, with both teams doing well. The Queens are hot on their hometown rival's heels, and don't seem to be backing off anytime soon. The Lightning have only positives to take from this season, considering their dismal year last year. 2 wins from the last 5 isn't something to write home about, but anything is an improvement for them. The addition of Suzuka Gibbons in the offseason has really boosted them, and they hope for more from the 24 year old in the near (and distant) future. Another Double OT thriller in Week 19 has been the talk of the HoopBall world, between rivals the Hikaru Heat and Asuka Magic. This is the second time these two teams have broken a viewership record, this time the record they set in Week 9 this year. This can only mean good things for the league, considering next year's expansion and the World Championships. The exposure on a global stage will help the league grow and hopefully encourage more countries to get involved in 2016. Week 20 has now been and gone, with a clearer picture of just how this year's Finals series will go down. The Magic (6-14), haven't shown their skills on offense that well this season, and after finishing Week 10 above the Raiders on Point Differential, they find themselves a game back from last year's champions. The loss of Emma Suga has finally come to bite them, and with the way the team is playing, the effects may not wear off until next season. 6 wins however is one game off the Lightning's total wins last season, suggesting an increase in the quality of play compared to last year. Their games against the Heat are always good viewing and with 2 games left to play against the Heat, that should keep their fans happy. Last year's champions, the Raiders (7-13) still look nothing like they did last season. 3 wins between Weeks 16 and 20 is a good sign for them, but their chance to repeat as champions is long gone in the eyes of many. Making so few roster changes during the offseason has probably caused this, a sign of the "If it ain't broke, don't fix it" mantra not working in this highly competitive league. The Raiders, much like the Magic, can only try to find positives and learn from this season. The defensive team we saw last year has turned into a more offensively led one, and the loss of their Head Coach from last season to the Queens probably hasn't helped that. Last year was terrible, this year is a huge improvement for the Lightning who now find themselves 10-10 and fourth place this year, largely thanks to the change of culture O2 Suzuka Gibbons has bought with her. The 24 year old's winning mindset, combined with her skills have awoken the other stars on the team. The inflow of quality draft picks has bolstered their bench this season, and if they can retain as many players as possible in the expansion draft, they could have an underdog chance at making next year's Finals. They boast a .500 record with positive Point Differential (+9) after Week 20, whereas last year at this time they would have had a record well under .500 and a negative PD. The Lightning have well and truly shown their strength. Surprisingly, the Hikaru Heat (11-9) find themselves third, and only on Point Differential. They only need to stay ahead of the Lighting to be guaranteed a spot in this year's Finals, and they still seem hungry to make sure that happens. A Double OT loss to the Magic by 1 point is not something the Heat seem to be phased about, and outspoken captain D5 Abby Mitchell seems to be making sure the media understands. A handful of losses between Week 16 and 20 haven't been too kind to the Heat's record, but once again have not scared the defending Northern Conference Champions. Expect to see some fireworks for their two remaining games against the Magic, and for them to be firmly in place to repeat this feat. Second place on Point Differential is a good place to be for one of last years bottom dwellers. 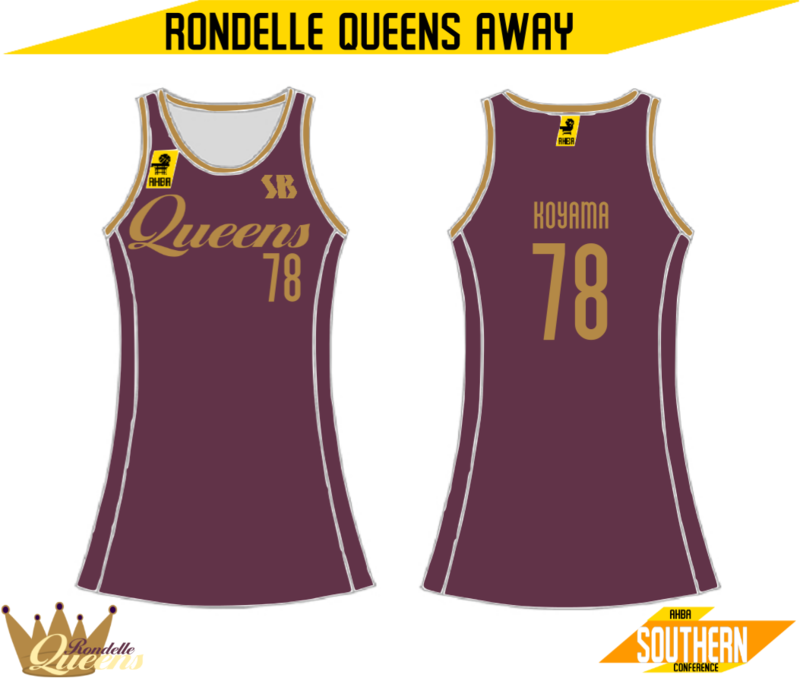 The Queens (11-9), are doing much better then they were at this time last year, and could take the lead of the Southern Conference if the Lions are not careful. The twin O5 combo seems to be working well, and offseason signee Emma Suga seems to be happy and settled in the offense in Rondelle. D1 Yumemi Koyama (#78) has been a huge part of their improvement defensively, despite wanting no credit for what she said was "doing what I (she) need to do to win." Don't count the Queens out just yet, HoopBall in Rondelle is blossoming. First place after a dominant 10 weeks in which they went on a 7 game winning streak and finished 9-1, is the Lions (15-5). 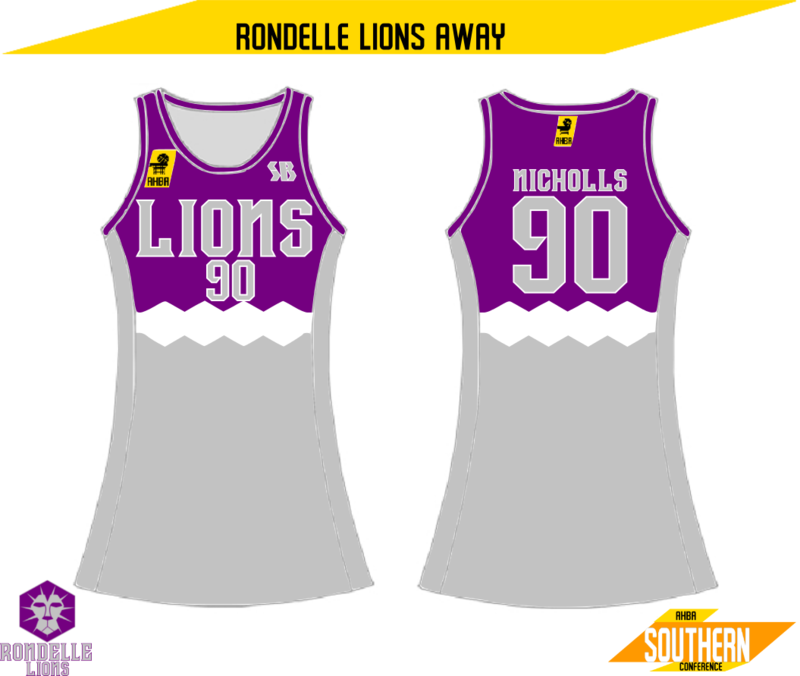 The Lions have been well and truely part of the blossom of HoopBall in Rondelle, dominating anywhere they go. The deadly D1 pair of Madoka Grant (#19) and likely Sixth Woman of the Year Megan Murata (#31) have been causing serious problems for opposing O1's the whole season. O4 Shirabe Dean (#57) has been putting the work in offensively too. The Lions seem confident, and now more of the locker room are jumping on the idea that this could be their year. HoopBall in Rondelle is blossoming, and what a time it would be for the Lions to win a championship. I'm trying to reduce the amount of time I spend on writing these up, so from now on, longer reviews of each teams last 10 weeks will be after the second half of the results. Finishing last this season, with a 10-20 record (4-8 at home, 6-12 away) is the Asuka Magic. The Magic lost O4 Emma Suga in free agency, and that change alone seems to have made a huge impact on the team this season. The Magic have been lackluster on offense for most of the season, and only seemed to come alive when they played Hikaru. The -185 Point Differential shows just how badly and how often they lost throughout the season and 4 wins from their last 10 games didn't help their record much. The bright side to this for Magic fans is that they will get the third pick in the 2012 AHBA Draft. There looks to be some amazing Asacan talent in the upcoming draft, and certain players from other countries look to be quite talented also. Another bright spot was D4 Nana Tomita (#40), who throughout the season pushed the not only the Magic's defense to get better and improve but the offense too, while she herself has also improved. It would be stupid of the Magic to not announce her as captain for next season, but that is up to the coaching staff. Tomita also took out Asuka's team MVP award. The Magic will need to improve as much as possible next year, or else they will find themselves bottom again next year. Finishing fifth this season, with an 11-19 record (5-10 at home, 6-9 away) is the Turrif Raiders. A large fall from grace is the only way to describe the Raiders' season. Turrif's management seemed mostly happy with last year's championship winning team, so they elected to bring back almost everyone. This of course backfired on the Raiders, showing us that a "if it ain't broke, don't fix it" approach does not work in our game. The pressure of being the defending champions certainly got to this team, with the locker room often dead silent, even after a big win. A turbulent home-away-home schedule also meant the team didn't get the boost they needed from their home crowd when they really needed it. Fourth pick in the 2012 AHBA Draft awaits them in Asuka on draft night. A defensive talent is what this team is sorely lacking, after this years' (compared to 2010) terrible defensive season. Team MVP went to D2 Samantha Tokuta (#83), who along with last year's Finals MVP D4 Summer Bennett (#77) was once again the centerpiece of the team, never giving up defensively, despite being stuck in what was a lost cause after Week 10. The fact that the Raiders finished with a better Point Differential (-65 to -68) than fourth place shows that there is still signs of that championship winning defense in this team. Finishing fourth this season, with a 13-17 record (6-9 at home, 7-8 away) is the Chibihasa Lightning. Going from last to fourth in just one season speaks volume about the talent in last year's draft. Last year's terrible finish was certainly on the team's mind, but they ended finishing 6 games ahead of last years' 7-23 record. To say that it was all thanks to the rookies would belittle just how much team & league MVP O2 Suzuka Gibbons (#2) did for the Lightning. No one knew how her signing would go for both parties, but it has seemed to benefit both equally, with 24 year old Gibbons putting up her best season yet, and also becoming a leader for the team, with her winning mindset and drive to become one of the greats pushing the team towards what could be an underdog shot at next year's title. The worse Point Differential (-68) compared to the Raiders is an interesting side note, as is the drop from +9 to -68 in the last 10 games. Fifth pick in next year's draft means if they do lose some talent in next year's expansion draft, they can get another quality player to replace whomever they lose. Overall, a huge improvement for a team that most people discounted from Game 1. 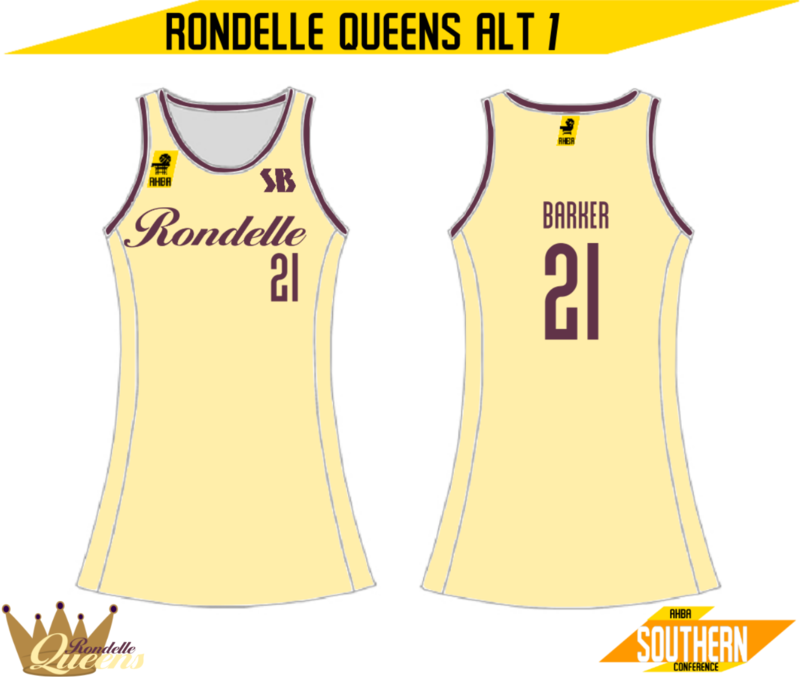 Finishing third this season, with a 16-14 record (8-7 at home and away) is the Rondelle Queens. The dual O5 lineup the Queens used for most of the season, save for the last 5 weeks after Natasha Barber (#36) broke her finger, seemed to fuel the Queens into contention after last year's fifth place finish. Emma Suga (#1), who despite most saying her move to Rondelle was "not well thought out" showed that Rondelle was somewhere she wanted to be. The assumption is that she will accept the second year on her current contract. A +100 Point Differential was good news for a team that struggled last season offensively, boasting a better PD than second placed Hikaru was also another bright spot for the team. The team MVP went surprisingly not to one of the O5's, but instead D1 Yumemi Koyama, who in the shadow of the two O5's put up some astounding defensive stats. Sixth pick in the draft isn't anything exciting to write home about, but third place in the league is. HoopBall has well and truely blossomed in Rondelle. Finishing second and bringing home a second straight Northern Conference Championship, with a 18-12 record (9-6 at home and away) is the Hikaru Heat. Many people thought that the loss of this year's MVP Suzuka Gibbons would stop the Heat from making a second straight finals appearance, but the Heat were not interested in what people thought. The emergence of Rookie of the Year O2 Gracie Bird (#69) certainly helped the Heat out immensely, filling the void Gibbons left extremely effectively. If Bird can continue to improve then she may one day follow in Gibbons' footsteps and win MVP. The very outspoken Abby Mitchell (D5, #59) was a huge catalyst for this team, effectively putting the team's media and captaincy responsibilities on her shoulders and making sure her team knew "what was bull" and what was the truth. Her defense was also outstanding, earning her the team's MVP. The lower Point Differential (+72) compared to the third placed Queens is interesting, but certainly not something the team was concerned about just yet. Everyone in this team is just focused on the Finals, because inside they know they can win. 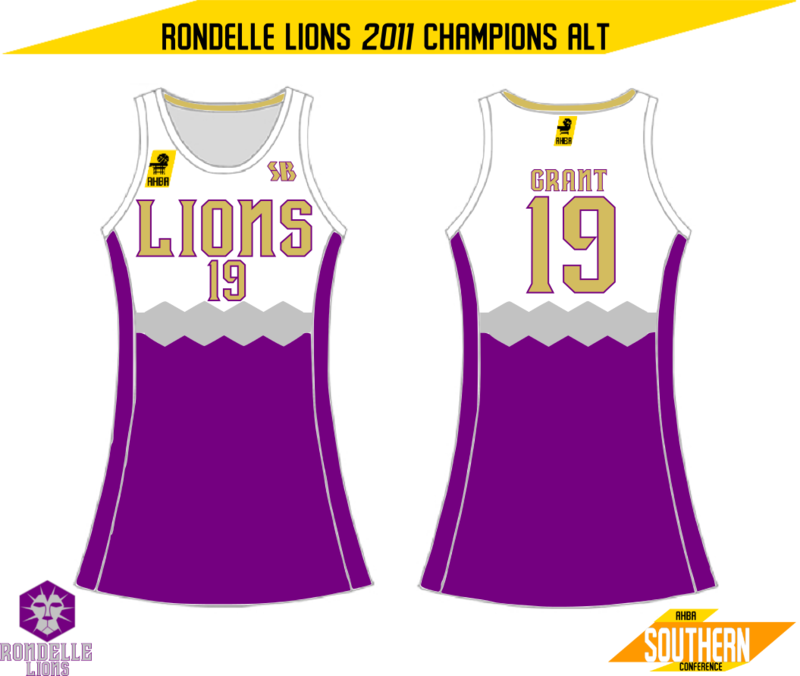 Finally in first place and taking home the Southern Conference Championship, with a 22-8 record (15-3 at home, 7-5 away) is the Rondelle Lions. People could tell early on that this team was going to be hard to beat, and they weren't wrong. A focused offense and defense gave them win after win. While not as dominant as the Raiders' run last year, the Lions looked strong throughout the year and really taking advantage of their home crowd, losing only 3 times at home. Sixth Woman of the Year D1 Megan Murata (#31) was causing all sorts of trouble for opposing O1's, often shutting down even the best of O1's. Helping her achieve complete lockdown at D1 was team MVP Madoka Grant (#19), who also frequently shut down opposing O2's. Team play on the offensive end led to plenty of scoring opportunities, as indicated by the Lions' +146 PD and a countless number of highlight plays. The Lions are the team to beat for the Heat to win the Championship, and it looks as if it won't be an easy fight. 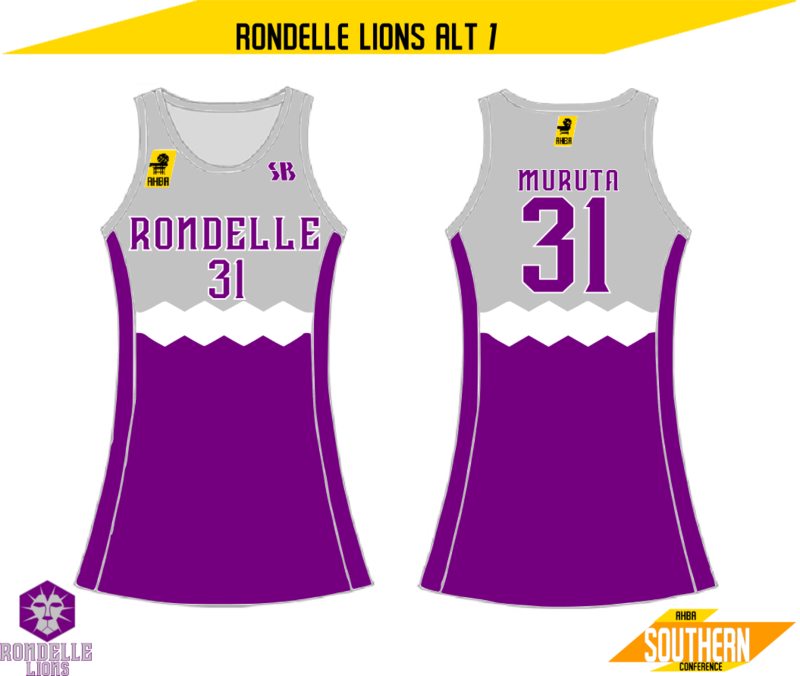 With Rondelle behind them, the Lions are dangerous. "Today, I am happy to announce that two locations have been chosen for next year's expansion. 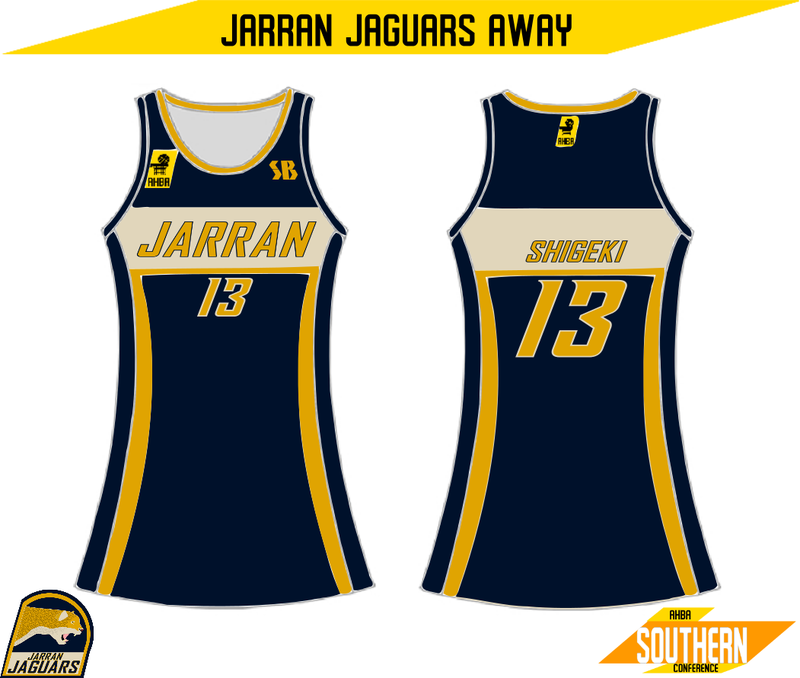 Joining the Northern Conference will be the Honnaro Flight, and joining the Southern Conference will be the Jarran Jaguars. I wish the best of luck to the Heat and Lions in their upcoming Finals series, starting this Friday, which I know for sure I will be watching." The Itescan team's uniform was actually one I redid. I didn't particularly like the original after a while, so I created this during the time my internet was down. Itesca in general is inspired by both Italy and France, hence the flag design and colour scheme. This is also the second non-SB designed uniform. "ALPE created this set for the Itescan HoopBall Team with the focus of integrating the flag into the design. This is evident in the design for the home uniform, with the flag filling the top of the uniform at the front. Each side has a different colour on the sleeve and side striping, again reflecting the Itescan flag. The use of grey on the numbers creates extra visual contrast. The Away and Alternate uniforms showcase the other two colours on the Itescan flag, blue and green. The blue and green replace white as the main uniform colour on the Away and Alternate respectively. The Uniforms shown are that of O2 Lidia Vergne (#22), O1 Gaudenzia Dironi (#1) and D5 Blanda Michilotti (#35)"
I don't really think I need to say which countries Eslia is inspired by, but I will anyway. Great Britain is the inspiration for the flag, with a hint of Ireland in the colour scheme. Originally, the USE was called the United States of Eslia, but I decided that it fit better here. "SB aimed to incorporate the Eslian flag into this design for their National HoopBall Team, without using the whole flag. A circular stripe, orange in white was created to emulate the Eslian flags crosses. On the Home uniform, the section above the strip is green, the main colour of the Eslian flag, further continuing the emulation. Wordmark and last name are white and orange for contrast at the top, and the numbers are green and orange. The Away extends the green down the whole dress, giving a different portrayal of the flag. On the back, the top section is white, with green and orange name and white and orange numbers on the back. The alternate makes orange the main colour, and green is placed similarly to the home. Numbers are Green and Orange on the front and Green and white on the back. Wordmark and last name are orange and white. The uniforms show are those of D1 Catherine O'Kellen (#11), D3 Lucy May (#33) and O5 Abigail Bell (#5)." Thanks for reading through this huge update, Finals are up soon, and then 2012 begins with the IHBF World Championship. Looking forward to the Jaguars. I liked the Lions logo, so I'm hoping for big things. I can already tell that it's gonna be pretty hard but rewarding to do..
And finally, after a huge amount of procrastination, I have the results of the 2011 AHBA Finals. 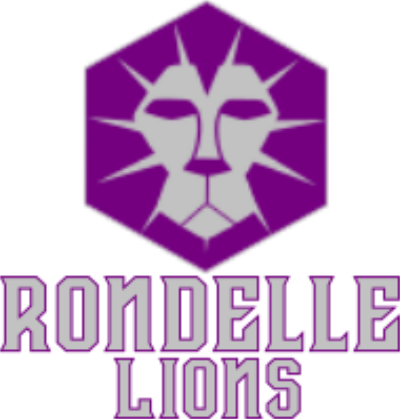 This years AHBA Champions are the Rondelle Lions! After a completely dominant regular season, the Lions continued their strong play into this year's Finals series and ended up coming away with the Championship. Losing only one game in a high stakes environment is impressive, and speaks to the ability of this team to keep their cool. (I actually thought this was going to end up as another 3-1 choke, in the year of 3-1 chokes [last year real time]) Taking home Finals MVP was Lions starting D1 Madoka Grant (#19), who not only locked down her matchup (Riyo Suitani (#94)) but also helped shut down opposing O3 Sanako Shinohara (#55) throughout the series. Trade pick up Megan Murata (#31) kept the lockdown at D1 off the bench as she had all season to add to the Lions' impressive defensive effort. Finishing games with high scores was also something the Lions did well throughout the Finals, scoring 90+ in two games , led by O3 Caitlin Takaki (#29) and O5 Harriet Higarashi (#88) in Game 1 and O1 Anna Nicholls' (#90) 32 point explosion to seal the championship in Game 5. Hikaru were seriously outclassed in this year's Finals series, despite showing the same drive that got them to seven games last year. Typically outspoken O5 Abby Mitchell (#59) was quiet after the Heat's Game 4 win, being noted for saying after that game that "This series has been very tough for us, and even a 22 point win is definitely not enough momentum to pull this series back, so credit to the girls on the other team." "Congratulations once again to the Rondelle Lions for winning this year's AHBA Finals series, in what was an exciting end to this season. I for one am very excited to see our Asacan talent taking on the best of the rest of the world in the IHBF World Championship, early next year. I encourage everyone to get behind our girls by packing out this very arena and CCargo Arena in Turrif when the World Championships roll around. Next year is also a huge step for the AHBA, expanding to 8 teams, bringing the Northern and Southern conferences up to 4 teams each and allowing us to bring in an extra round of games before the Finals..."
This is the second of the three uniforms I re-did whilst my internet was down, and I'm glad I redid this one and the next one. Stoenia is inspired by the Benelux region of Europe (Belgium, Netherlands and Luxembourg) hence the bright orange. This set has even more of a Miami Heat feel than the Hikaru uniforms, now that I think about it. This is the second set not designed by SB, and the first by VIM Sports, based in Stoenia. "VIM is a Stoenian company, so being asked to create uniforms for the National Hoopball Team is a great honour. The design is fairly simple, with two stripes either side of the uniforms, and names and numbers in VIM's standard font. On the home uniform, the two stripes are orange and red, with the wordmark, names and numbers orange with red outlines. On the away, orange replaces white as the main colour, and white becomes the secondary colour. The alternate is a black version of the home, with the orange as the inside stripe and red on the outside. The wordmark and name are white with orange outline, with the numbers featuring a red outline. Orange was a focus colour as it is the national colour of Stoenia. We wish the girls good luck at the World Championship, and hope they feel proud of their country when wearing these uniforms. The uniforms shown are that of D5 Ester van 't Hof (#15, Home), O3 Cristin Koenig (#3, Away) and D3 Anne Traugott (#33, Alternate)." I think the inspiration for the USE is quite obvious, just by their full name. The lighter blue and darker red, along with the waves are a twist on the American "Stars and Stripes". The wave ended up making a cool design for the uni so.... I did also redo this set, which originally had grey instead of blue and lots of yucky angles. This is the second set from ALPE, who are based in the USE. "ALPE, for the USE tried to include as much of the national flag as possible, while maintaining a clean and professional look. The top half of the jersey features a large version of the wave and box on the USE flag, with USE in blue with a white outline replacing the 10 5 pointed stars. The home uniform, as to be worn by O2 Maddison Connor (#22) has the numbers & name in red with black outlines. The away, which replaces white for red as the main colour, features numbers in white with a blue outline, and the name of D4 Caris Walker (#14) in blue with a white outline. The alternate, which is as to be worn by O5 Elle Parker (#5), replaces red for blue as the main colour, features the name and numbers in red with a white outline." Its almost time for the IHBF World Championship, and results and such from that will most likely be the next to appear here. In the meantime, which National Team's uniforms do you like the most? Who do you think might win the World Championship? Lions ROAR!!! Feel kinda bad for Hikaru, though. Runners-up two years in a row. Also...what an unexpected season for Turrif. Got to wonder if they'll bounce back or continue to slide downwards. Lots to look forward to in 2012! I have a few questions, though: How exactly are you simulating these games? Are there, or will there be, players from countries outside of Asacan? Finally, with all of the other countries you've shown, does the world look similar to this one? I love fictional country lore and you look to have a whole world going here. I too feel bad for the Heat, but two straight Finals losses will surely spur them on to the finals again. I myself was surprised too at Turrif, comparing their 2010 and 2011 ratings, they weren't that different, so I really don't know what happened. They will more than likely try get some talent through the draft, and hope to lure one of the international players. Indeed 2012 is going to be very exciting, and I can't wait to start it. As for simulating, each team has 3 main ratings, Offensive, Defensive and Overall. These are put into a wheeldecide with three other variables (Home Court advantage, Home team, Away team) and basically which ever team is landed on wins. It's a bit difficult to explain properly, but the scores are randomly generated between a minimum score and maximum score, hence the huge winning margins. And the Hoopball world is quite similar to this one (hence my explaining of regions being the "inspiration" of the countries), with most of the countries here being a combination of two or three real world countries. For example, Itesca is a combination of France and Italy, and has a size and rough shape of the two countries combined. I did always want to bring in more countries, and there is a high chance that as I go on, competitions in other countries will start appearing, but won't be covered indepth really. As of this moment, there aren't any non-Asacan players on a team, but in the 2011 draft, there was a Skallian player (Ronja Nordstrom), who is currently in free agency. As the game expands, (some of which will occur after the World Championship) more and more international players will eventually join teams. After a whole month's worth of procrastination, here is the 2012 IHBF World Championship. Asaca's chance to shine on the world stage has finally come. The 2012 IBHF World Championship has finally rolled into Ocella, Asaca. Each team will play each other once, with the first and second place finishers playing for the gold medal, and third and fourth place finishers playing for the bronze. The games will either be played in Rondelle's Air Asaca Arena or in Turrif's CCargo Arena, with two games usually being played in Air Asaca per night. Fans will have the opportunity to purchase replica uniforms from each country at both arenas throughout the week, and into the next week. Asaca and Eslia both finish 4 - 1, earning them both a spot in the Gold Medal Game. Asaca finish with a much better PD than Eslia (+73 compared to +52), but that is to be expected with the gap in skill between the teams. Itesca finishes 3 - 2, getting a spot in the Bronze Medal Game. Itesca's PD is a relatively low postive (+9), which suggests some offensive improvement may be necessary in future World Championships. Their surprise OT victory in Rondelle against the Asacans was definitely their best achievement for this World Championship. Skallsjo and Stoenia both finish 2 - 3, with the Skalls' higher PD (-18) earning them the second spot in the Bronze Medal Game. Stoenia didn't win any of their two "road" games, which may have helped them get into the finals over the more internationally experienced Skalls. In a game many thought the Asacans would win easily, the Eslians took an early lead, and never let it go. Despite the Ascans best efforts, the Eslians kept on scoring and seemed to not miss all night, winning them the Gold medal in the inaugural IHBF World Championship. A disappointed Asacan squad takes the Silver medal, vowing to take gold in 2016. The Itescans were favoured to win this match, after their huge win over the more experienced Skalls in the Round Robin. They fed off this confidence, and went on a large run through the 3rd quarter to seal the Bronze medal. The architect of this run was the Itescans' eccentric O1, Gaudenzia Dironi, who throughout the tournament has become a crowd favourite thanks to her celebrations and bench antics. Ronja Nordstrom looks to have also improved over the AHBA offseason, and may well find her way onto a team during free agency. The Skalls will look to improve on their 4th place finish in 2016. "There have been rumours of multiple international players looking to either enter this year's draft or be signed during free agency. One of the largest names that seems to be mentioned most from by sources is crowd favourite Itescan O1, Gaudenzia Dironi, with further rumours stating that she would likely play for either the Queens or Raiders." - hoopballfeed.com.ac, January 16, 2012. How do you feel about the Eslians taking the Gold? Is this a good or a bad thing? ...Aaaaand we're back! It's now time for the 2012 Offseason to begin. First up is the 2012 AHBA Expansion Draft. Tonight is the night where we find out who will be the faces of the two new AHBA teams; the Honnaro Flight and Jarran Jaguars. The Jaguars have the first pick in the first ever AHBA Expansion Draft, meaning the Flight receive the first pick in the AHBA Draft. Each of the original 6 AHBA teams were able to protect 15 of their 20 players, leaving a pool of 30 players for the two expansion teams to pick from. There are 15 rounds, each with 2 picks (one for each team), with the picks in a snaking order. The Expansion Draft is being held in Jarran's new Syncamore Insurance Arena, to help promote and showcase the city. AHBA Deputy Commissioner, Freya Faulkner: "Welcome to the first AHBA Expansion Draft. I am Freya Faulkner, Deputy Commissioner of the AHBA and it is my pleasure to be here in Jarran tonight to introduce the players who are being drafted and the fans to the two new AHBA teams. I will also be unveiling the logos of the Honnaro Flight after their first pick in tonight's expansion draft. 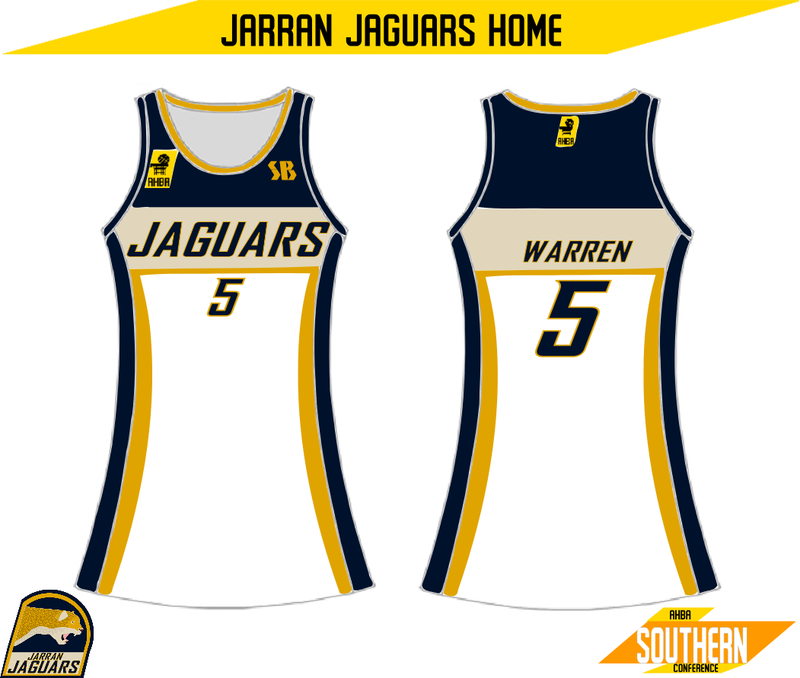 Without further ado, the Jarran Jaguars are now on the clock with their first pick..."
SB worked closely with Flight ownership and Honnaran rapper LBE to design the Flight's logos for their inaugural season. Honnaro's main logo is inspired by classic winged car badges, with FLIGHT placed over two red wings and blue sky to invoke the thought of flight and further the inspiration of the logo. The secondary is a wing on its lonesome, to represent the teams' one goal: to win. The team's colours are officially: Wing Red, Afternoon Sky, Honnaro Gold, and Dark Wing Red. "Unforunately, many of the rumours surrounding multiple international players being available in the 2012 AHBA Draft or free agency have been debunked by multiple sources, including the players themselves. However, the rumours surrounding crowd favourite Gaudenzia Dironi signing with either the Queens or Raiders have deepened, as Dironi was spotted at Rondelle Airport a few days ago with plenty of luggage. Sources say Dironi is meeting with the Queens, Raiders and Lions regarding a contract late next week. "- hoopballfeed.com.ac, January 25, 2012. That's all for tonight, more to come at some point tommorow, including the 2012 AHBA Draft. This year, the AHBA Draft is held in Asuka, and 40 more talented young women have entered the draft this year, in the hope that they will be one of the 24 players who get picked. "Sources tell hoopballfeed that Itescan O1, Gaudenzia Dironi has reached a verbal agreement on a 3 year deal with the Rondelle Queens, and is expected to sign "as soon as free agency begins"." - hoopballfeed.com.ac, February 3, 2012. "Earlier this month, we here at AsacaHoops got the chance to sit down and talk with Honnaran rapper LBE about what getting an AHBA expansion team meant to her and the people of Honnaro. AH: How does it feel to have an AHBA team in Honnaro? LBE: It feels absolutely amazing, knowing that I got to be part of bringing a team to Honnaro and that I get to be a part of the team long term. AH: Our understanding is that you will have a role as a "celebrity ambassador" for the team, what does that entail? LBE: I would love to. AH: HoopBall is huge here in Honnaro, almost as big as yourself. How do you see the people reacting to the team in it's first few seasons? LBE: (laughs) I've been in town lately, walking around, and I can't go anywhere without someone talking about the Flight, and how excited they are to have the team. I know however that the Hikarans won't be too happy with us, as we've taken a fair chunk of their fan base. AH: Funny you mention the Heat, we were just going to ask about the "rivalry" between the two cities, and how that might play into the HoopBall side of things. LBE: Honnaro is a relatively "young" city, compared to Hikaru and I think that brings a lot of the rivalry on. Here in Honnaro, there's always something new happening, something being built, a new restaurant opening... it's crazy. Hikaru are always trying to one up us by refurbishing this and reopening that, and it's kinda fun to see. The rivalry will most definitely carry over to the HoopBall side of things, especially because many Honnarans were Heat fans, as that was our closest team. I really hope the players we get are just as into the rivalry as we in Honnaro are. AH: Well, thank you for your time, and we can't wait to see the arena in all of its glory at the start of this coming season. "I'm sure everyone saw the backs of our new home uniforms last night, and today, along with LBE, I am happy to unveil the rest of our uniforms, which you can also find on our team's website, along with some merchandise." - Honnaro Flight Owner, February 11, 2012. SB, along with LBE and Flight ownership, designed these uniforms for the Flight. Using the main logo as inspiration, the front of the uniform features the same arrow shape in Afternoon Sky from the logo with Wing Red either side on the home and White either side on the away. The main alt is Afternoon Blue, with Wing Red either side of a Honnaro Gold arrow. The "LBE Night" alt is a colour swap of the home jersey, with LBE's signature orange in place of Wing Red. The uniforms shown are that of D2 Brooke Douglas (#61, Home), D1 Yoshie Kaai (#58, Away), O2 Leah Rin (#45, Alt) and O4 Yasuha Nagano (#8, LBE Night). Well it's only been a month since the last update... So here is Free Agency and three teams new looks for 2012. In a trade with the Raiders, the Heat acquire a better bench O1 in Millie Umeta for their Second Round Pick (#7), and release Lola Taketou to make room for their new arrival. The Raiders get a chance to continue their rebuild with the pick. Jarran get a solid, but not spectacular veteran, Himeko Makino to help lead their first season charge, for a 2014 3rd Round Pick. It was understood that the Raiders were looking at other options at bench D2. Many of these signings are teams replacing players lost through the Expansion Draft, so many of these deals are team friendly and short. The biggest signing this offseason is Gaudenzia Dironi, the Itescan O1 who excited not only the crowd during the IHBF World Championship, but plenty of team scouts as well. 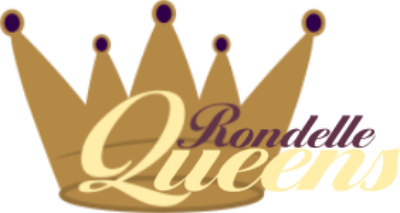 "Showpony" (as she has been affectionately called), has signed with the Rondelle Queens on a 3 Year contract, the details of which have not been revealed in accordance with team policy. It has been revealed through her official FaceHub page, along with a picture of the back of her uniform, which bears the #10. "Today, 3 teams unveiled their looks for the 2012 season. 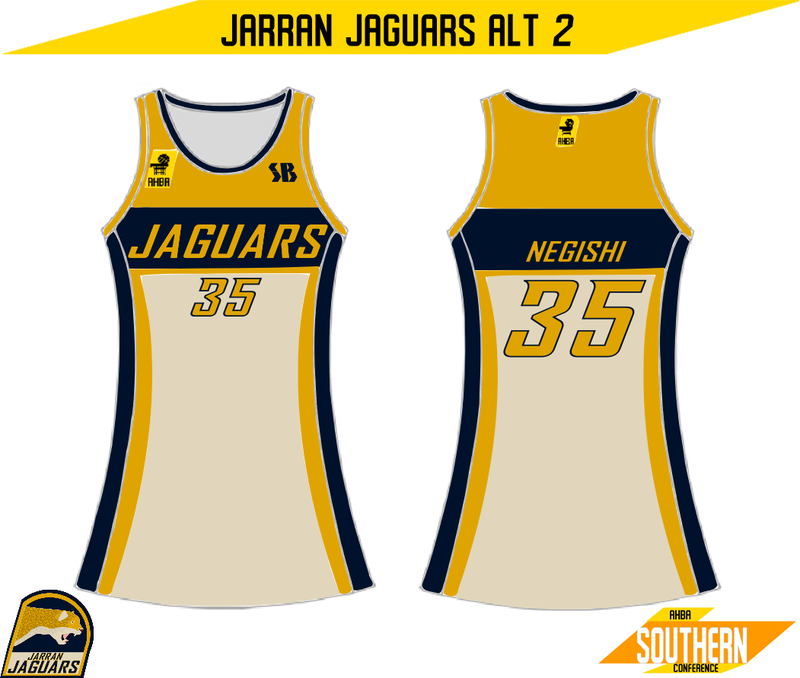 The Jarran Jaguars, Rondelle Queens and Rondelle Lions all unveiled logos and uniforms, which along with official press releases from SB, can be found below." - Official AHBA website, ahba.com.ac, 17th February 2012. Official Colours: Jaguar Yellow, Jarran Blue, Jaguar Tan. 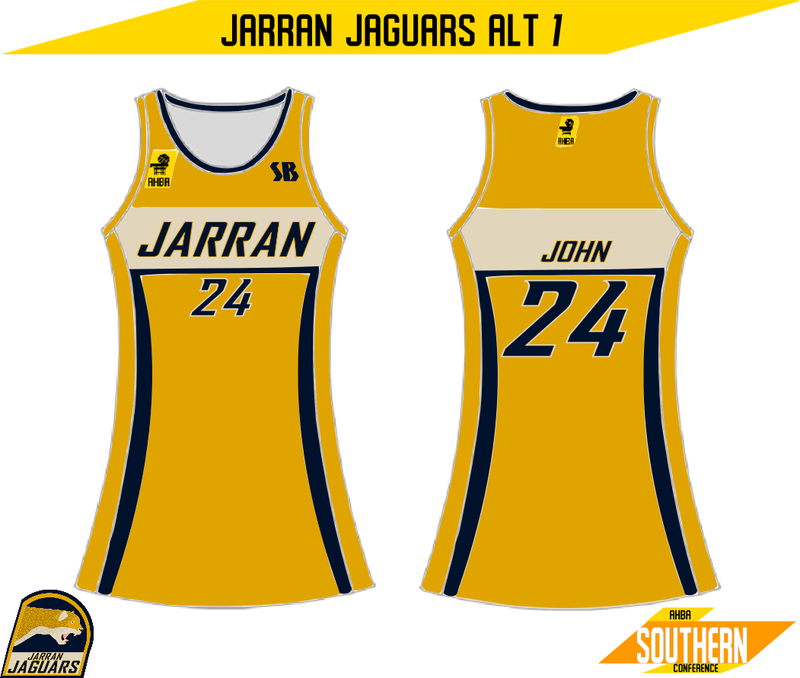 SB and the Jaguars worked to create a uniform and logo set that was as unique as Jarran itself. The unique shape of the main logo is a nod to the uniqueness of Jarran. 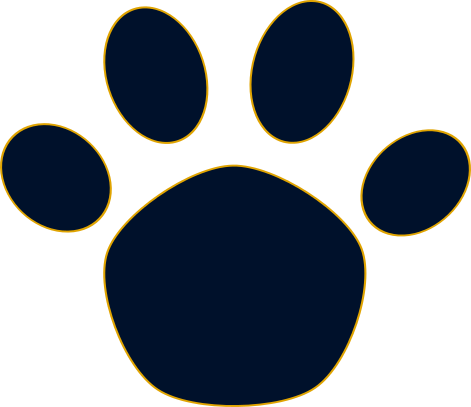 The team's colours are that of a Jaguar as it would be seen in the wild alongside Jarran Blue, which is inspired by the blue found on the city's flag. The design of the uniforms are inspired by the main logo, with a colour order that matches that of the main logo. The italicized word mark, numbers and Jaguar Tan stripe are also inspired by the main logo. The uniforms shown are as to be worn by Rookie O5 Gracie Warren (#5, Home), D3 Haruka Shigeki (#13, Away), Rookie O4 Samantha John (#24, Alt 1) and D5 Isabelle Negishi (#35, Alt 2). SB worked hard to keep all the things the Lions supporters loved, whilst updating the team's look slightly. For the first time, there is a Championship Alt, which features gold throughout the team's home uniform. This uniform is to be worn once on opening night or the team's first home game. Any team that wins the championship will have a Championship Alt the next season, as an additional uniform to their four nominated sets. The players' numbers have been moved to below the uniform logo, both of which now have an outline, along with the players' names. The uniforms shown are as to be worn by D2 Eleanor Chouda (#41, Home), O1 Anna Nicholls (#90, Away), Sixth Woman of the Year D1 Megan Murata (#31, Alt 1) and Finals MVP D1 Madoka Grant (#19, Championship Alt). Official Colours: Queen's Plum, Old Gold, Queen's Cream. -I like the Queen's update. It's simple, yet it would stand out among the louder looks of the other teams. I don't think you need the "QR" in the crown on the secondary. On the Dironi version of the home jersey it looks great by itself. IMO that should be the secondary. I'm gonna miss the crowned "Q" secondary, though. -I'm really loving the cleaner version of the Lion's. The home still has a bit too much purple for my tastes. You could keep the look the same and just go with white under the grey/silver band, or drop the band and the purple area lower to 'fix' that. -Honestly, I'm not feeling the Flight. I like the idea and think the wings are a great start, but what they have now is a little busy and the Honnaro on top looks like it was added after the main logo was finished. I would either have the city name straight across or framing the logo instead of following the shape of the wings. On the away jerseys the city name gets a little lost against the sky portion of the jersey on both the main and the alt. Have you tried making the city name in the same color as the numbers? It might help that stand out more. -I am loving the Jaguars look. The logo is solid -it just needs a little polish- the colors are perfect and in good balance to me. It's a good logo and the unis are solid as well. Great job with them! I knew I was right to be looking forward to them. Still on the Lions' bandwagon, but they'd make a good second team. Ok, technical stuff. Is there a map of Ascan so we can get a better visual idea of city locations? Also, and forgive me if I've asked before, what program do you use? Glad you're still around and doing this series! 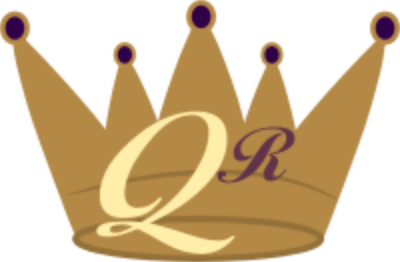 With the Queens, I was orginally going to use the logo you see in the corner of Dironi's uniform and have the QR crown as the secondary. I changed my mind on wanting main logos on a background, and decided to use the secondary to make the main logo. 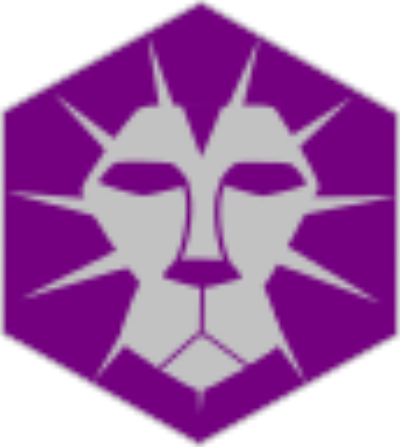 And because I didn't save main and secondary logos the way I have been recently at the time of making the logos and such for the Queens (and Lions) I couldn't do much about it. As for the crowned Q, I wouldn't say it's completely gone, but I did want try something newer and a bit more complex. I personally like the amount of purple on the home, but I do see where you are coming from. I checked out your suggestions, but both don't look quite right to me, so I won't change anything. The Flight I definitely had the most trouble with. The name is a bit strange in terms of a sports team, so finding a way to represent Flight was a interesting challenge. I agree that the placement of Honnaro in the main logo isn't the greatest, but it was quite hard to find a place for it to sit. The next challenge was to find a way to implement part of the logo into the uniform design. I tried to do a pattern similar to that of the Atlanta Hawks with the sky part of the logo but that didn't go to well. I also had a look at what you said regarding the wordmark colour on the away, and it looks much better that way. I also tinkered with the Alt 1 wordmark and the main logo. 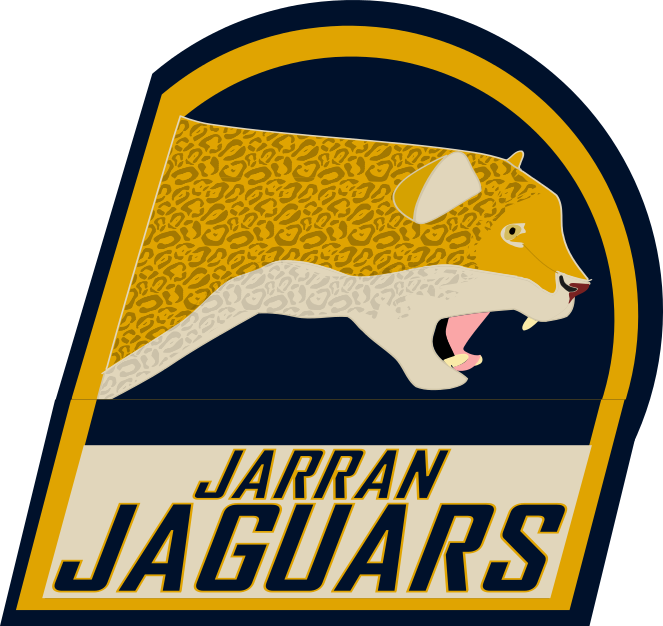 The Jaguars' logo was quite a lot of trial and error, until I had the genius idea of tracing a photo of a real Jaguar (albeit poorly, I can only do so much with a mouse) and gradually erasing and adding parts until the finished product. It's not perfect for sure, (I'm not happy with the spots) but it's a big step forward for me. The yellow and tan were taken right from my source image, and I felt blue would be a good complimentary colour. I won't implement any of the changes until next season now that they have been "released", but be on the lookout. Now that you mention it, I was thinking about making some sort of map recently, and is probably the next thing on my list after uploading/releasing the rest of the new uniforms. I pretty well exclusively use Inkscape when making the logos and such now, but the original template was modified in paint.net. I'm glad to see some interest in this, and I hope I can keep your interest and gain some others'. There is a high chance that there will be more uniforms out tonight tomorrow, so be on the look out for those. I would like to see the map (also the world you're putting this in. I know it's based on this one, but I don't remember seeing if it's exact) so I'm looking forward to that. Another question about unis: Are they field hockey dress style unis or are those jerseys? Again, this may be something I missed in earlier posts, but I'm currently having trouble picturing the m in action...if that makes sense. I'm definitely interested. I love seeing what others can come up with!